We’ve made a lot of changes at Nutritious Movement recently, because we want to make moving more as easy as possible. Every change we’ve made has been to get people moving more of themselves, more often, and to build a community that moves with them. Here’s a rundown so you know what we’ve been up to! 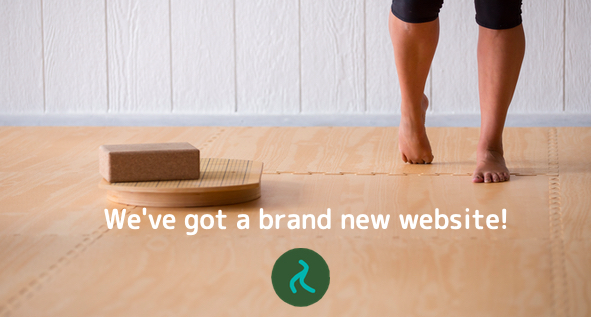 We’ve revamped the website to make our offerings clear and simple. You can start building your exercise program, or you can work on building a movement-rich community. Preferably both, as both move you differently. As part of this website redesign, we have overhauled the old “blog” section of the website. Our new Notes section houses the best of my old blog posts, many of them (like this one on my sleep setup) updated to reflect developments in my research and life. You’ll also find essays, articles, and excerpts from my books there and, wait for it, new content. That’s right—as I’ve transitioned away from so much social media, I’m finding I prefer to share the content here, where movement enthusiasts can easily search for the info they want. We’ve also added new products. The Whole Body Biomechanics online video courses are designed to give you a comprehensive understanding of how to mobilize and strengthen your body using biomechanics, alignment, and natural movement. These courses are excellent for those who’ve read my books and want to learn all the moves via video, but they’re also standalone, meaning you don’t need to have read the books; the moves work just fine without the theory. Coming soon is a super-nourishing collaboration with MovNat®, for those wanting to work toward larger movement feats or for those that teach them and want some assistance seeing the nuts and bolts of the larger moves. My podcast, Move Your DNA, recently hit over three million downloads. Three. Million. Downloads! Dani and I, and then Stephanie, have come along for your early morning walks, kept you company while you Calf Stretch and hang out laundry, and hung out on your commute to work, and I’m so honored to have been in your ears. This past year of the podcast in particular has been so much fun, as I’ve had the pleasure of speaking with some of my heroes. I’ve learned and grown from these conversations, and I know from the mail I get that you have too! At the end of 2018, Move Your DNA is taking a break from regular production. I’m not stopping my podcast, but I’m going to stop recording shows on a schedule. I’d rather create them when I’m inspired to, as I read books and meet people who blow my mind when it comes to movement. As always, subscribers will have new episodes automatically loaded up to their device, but also look for show announcements via our newsletter and on social media. I haven’t done the precise calculations, but there are approximately a bajillion hours of old episodes you can listen to whenever you want. WHENEVER YOU WANT. AND I’M NOT DONE YET. Our brick-and-mortar studio, the Nutritious Movement Center Northwest, has moved into a new, community-centric, pedestrian-friendly space. It’s a bright, lovely place we’ve renovated to be perfect for us and the movers here. This is where I'll be filming all the classes for the Virtual Studio Membership going forward. Please come by for class anytime you’re in the PNW. If you’re local to the PNW (Portland, Oregon to BC, Canada), put yourself on the list to see what’s happening!